I have a diagnostics page where I wanted to display how many records are in a collapsible region's title. The following is a simple solution, but will only work properly if all records are displayed, and no pagination is used. Otherwise, check this past post for alternative methods to get the number of rows in a region. Pick a column in the region and add a class. 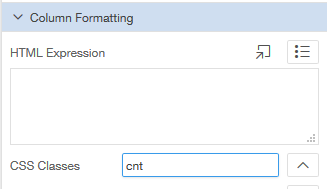 I chose "cnt". Many, many moons ago, I created an error handling function for Oracle APEX, just like the original sample provided by Patrick Wolf for the 4.1 error handling feature. You'll probably find a strong correlation between the two events. We normally see this if an exception was propagated within a PL/SQL Dynamic Action. In this case I thought it was time for a little upgrade. Consider a data entry page where it might be nice to capitalise the first letter of a person's name, for a number of fields. I understand I may be anglicising a problem that contains minutia, but focus instead on the thought processes and options we have available using Dynamic Actions. 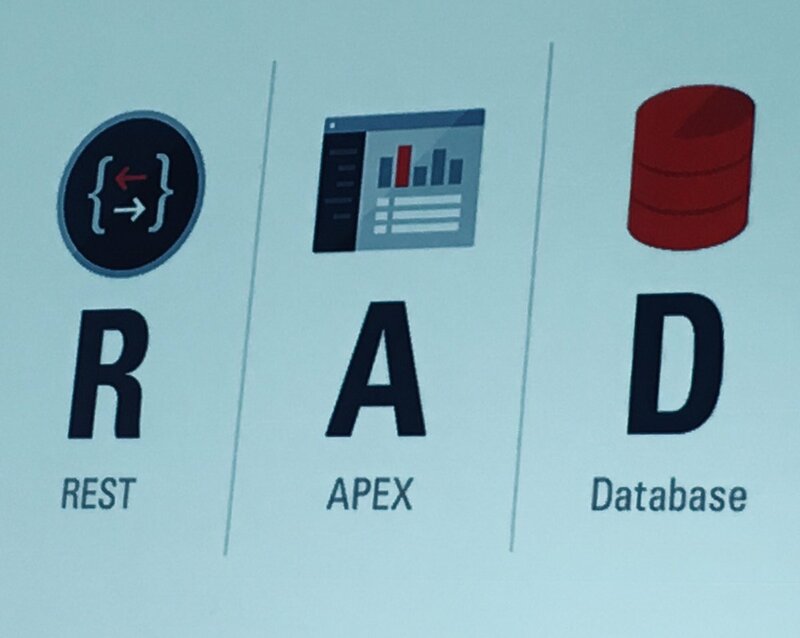 Would you like to learn something from the Oracle technology stack? Here's a slide probably in a bunch of Oracle employee decks. 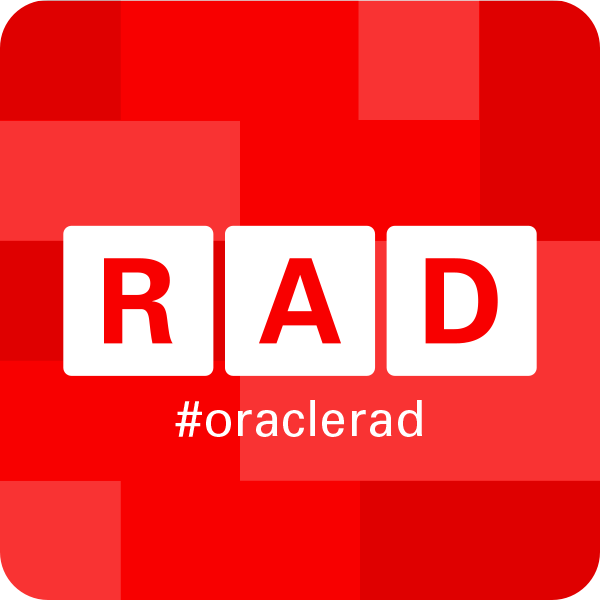 Some well deserved people have been recognised by the Oracle ACE program. 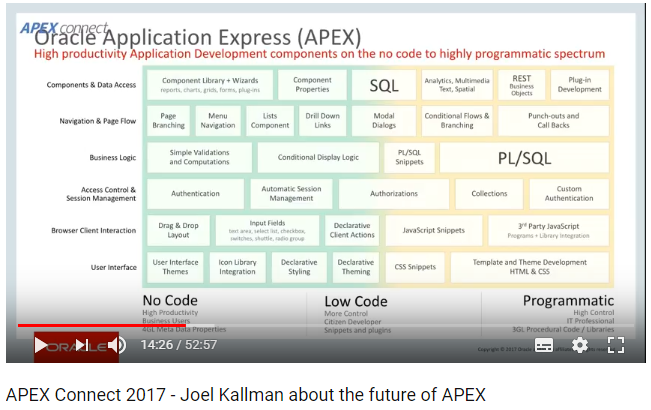 One in particular I noticed was Daniel, creator of many practical APEX plugins. A couple of years ago I posted a method to remove nulls from a report using the Value Attribute Paris - Column template. Here's an example of how we might utilise the region, within the breadcrumb region position. Note - some values may have been adjusted from this screenshot for their protection. Last year I described a simple test case that described how to remove outliers from a fictional dataset using the STDDEV() analytical function . I want to follow this up with a practical case using one of my favourite data sets - the apex_workspace_activity_logs that record who opened what page, in what context, and how long it took to generate. Snippets are a common feature in text editors, allowing you to essentially paste in a snippet of code from some library somewhere. Snippets appear for selection as you start typing, and the editor will paste in the entire content of the snippet. VS code snippets also have the ability to focus the cursor, ready for typing. Ever since I joined the industry, my preferred text editor was TextPad. It's a solid tool, similar to Notepad++. I probably underutilise it, but I started to see some people to interesting things with more modern editors. Day-to-day, I work with two monitors, so I've been trialling software literally side-by-side for a while. In my Exploring AJAX presentation I had a frame that mentioned the ability for the Chrome browser to emulate the behaviour of a mobile device. Open up the browser tools, I use F12. I spend a fair it of time in the Elements + Console tabs of these tools. Then find the relevant icon, that will no doubt change location in future. Ctrl+Shift+M does the trick when the browser tools are open. We have an application written with a heavily customised Theme 25 built for 10" tablets, and we feel the Universal Theme justifies the move, in part because of the surrounding ecosystem. Check out this forum discussion on the topic. We've been looking through the packaged applications for applied ideas, and using the Universal Theme sample application as a component reference. See my previous post about modifying these attributes on render. We can also do this at runtime, perhaps as response to a button click, such as the 2D/3D button in the cookbook.